From the placid waters of Laryx Lake, a loon releases a series of haunting calls that reach across the morning coolness of Sunshine Meadows. Even in the summer months, the morning is brisk at 2300m in the Rocky Mountains. Pastel-coloured wildflowers shake off the dew of evening’s chill and a plump ground squirrel meekly squeaks as it begins its busy routine of tunnelling, snacking, and snoozing. These tiny creatures greet the day in the presence of limestone giants; the Monarch, Spar Mountain, and Mt. Assiniboine stand sentry over the meadows as they have for millennia. To connect with this protected environment is breathtaking, but the exertion needed for such a view won’t take your breath away. 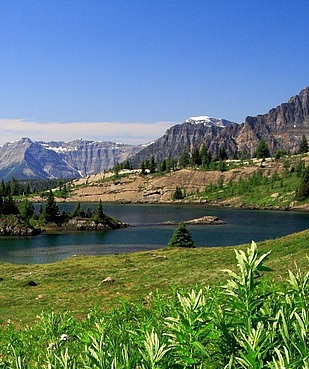 Sunshine Meadows is one of the few subalpine hiking destinations in the Rockies accessible for the entire family. And this year it is easier than ever. From June 30th to Sept. 24th you can purchase a pass to ride the Sunshine Village gondola (Friday-Monday) or take the Scenic Alpine Shuttle (Tuesday-Thursday) from 8am-6pm. Once you have reached the village (full amenities are available), you can begin your hike or take advantage of the latest option of riding the chairlift to the top of Mt. Standish. However you choose to enjoy the meadows, expect the trip to be stunning. Over 10 km of interconnected trails traverse the meadows and hug three emerald-blue lakes: Rock Isle, Laryx, and Grizzly. Situated atop the Continental Divide — the rocky spine that splits the Pacific from the Atlantic watershed— these lakes glimmer with the ancient minerals of the last ice age. For a short outing, ride the Standish chairlift, hike down the trail to Rock Isle Lake, and take that trail north back to the village. Alternatively, a longer and often-quieter hike will lead you to the Monarch viewpoint. 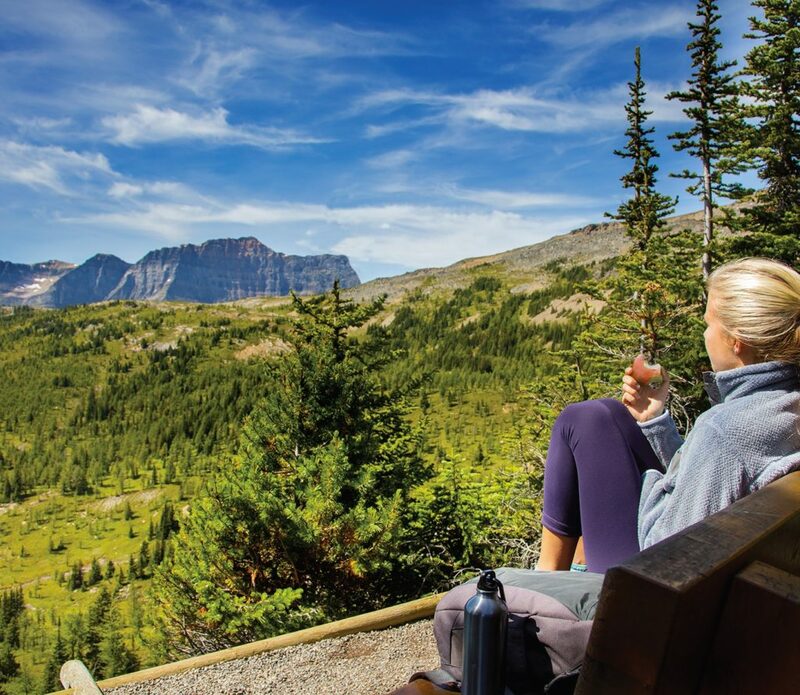 Seated at the foot of Twin Cairns peak, this open expanse gives you the chance to glimpse a deer or even a grizzly foraging for flora, and to revel in the grandeur of the Monarch’s cliffs rising above the Simpson Valley. Trails are well maintained. Staying on trail ensures your safety, as well as the health of the sensitive ecosystem. Trail hosts offer regular interpretive tours from the top of Standish chair (we recommend making a reservation). 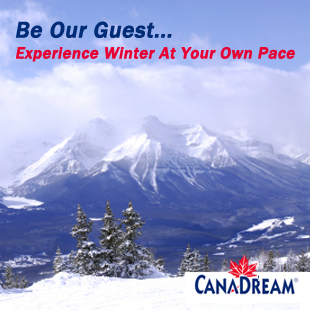 Additionally, 4-5 hour guided hikes through the meadows can be arranged with two local adventure companies, White Mountain Adventures and Discover Banff Tours.